There are many arguments on either side over the implications of the Treasury yield curve becoming inverted. Some say it is different this time (massive short term debt issuance being cited), others just look at the historical tendency for an inversion to consistently proceed a recession by 12 to 18 months. Hints of the curve becoming inverted (between 2s and 5s) have spooked markets, with a massive correction on Wall Street resulting, as volatility spikes higher and equity markets fearful. With the Fed increasingly cautious, and significant question marks over the US/China 90 day truce on tariffs, growth expectations are suffering. Add in continued falling inflation expectations, this is a hit to the longer end of the curve and another reason to suggest the longer term outperformance of the dollar is on the wane. Donald Trump has felt compelled to tweet about his intentions to get a deal done with China and this has helped to settle selling pressure on the futures markets. However, although there has been a mild dollar rebound this morning, several major markets are turning against the greenback. Gold pushing above $1236 was a key move, Dollar/Yen signs of negativity and EUR/USD threatening an upside break, with yield differentials all moving against the dollar. US markets will close today in mourn the passing of ex-President Bush. Wall Street close hugely lower, with the Dow losing almost 800 ticks (-3.1%), whilst the S&P 500 was -3.2% at 2701. Wall Street futures have rebounded a shade +0.3% and this has helped to steady Asian markets to an extent (Nikkei -0.5%, Shanghai Composite -0.6%) with European markets showing similar losses (FTSE 100 futures -1.0%). In forex, there has been a degree of dollar recovery this morning. Sterling continues to be an underperformer, whilst the Aussie is under pressure after weaker than expected Australian growth. In commodities, the dollar rebound has taken some of the shine off the breakout on gold, whilst oil is also back lower again on the concerns for growth. The services PMIs dominate the economic calendar for traders today. The Eurozone final Services PMI for November is at 0900GMT which is expected to be confirmed at 53.1 (prelim Nov was 53.1, but this is down from the final October reading of 53.7). Furthermore, final Eurozone Composite PMI is expected to come in at 52.4 (down from 53.1 in October). The UK Services PMI at 0930GMT is expected to show a slight improvement to 52.5 (from 52.2 in October), whilst it is also worth noting that the US ISM Manufacturing PMI is to be delayed until tomorrow. Canadian traders will also be on the lookout for the Bank of Canada monetary policy decision at 1500GMT. Consensus expects the BoC to go on hold this month after the hike to +1.75% last month. The Fed’s Beige Book will be watched at 1900GMT for the Fed’s assessment of the economic outlook. 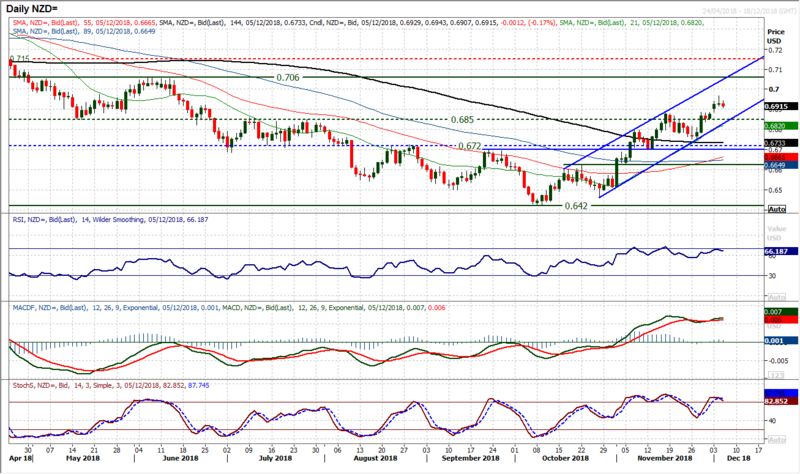 The uptrend channel on the Kiwi has really taken off in the past week. We spoke recently about the strength of the recovery when the unwinding move bounced off a key medium term breakout support around $0.6700/$0.6720 and then a higher low at $0.6750. The breakout this week above $0.6850 which is a key pivot from the summer of 2018, now becomes a key basis of support for a next higher low. The momentum indicators are strongly configured, but the RSI is stretched again around 70 and the moves in November suggest that this is a point at which a corrective move could set in. These moves in November have tended to come to unwind the stretched momentum and renew upside potential. Yesterday’s doji candlestick denotes immediate uncertainty which could mean another pullback, which would be a chance to buy. The uptrend channel support comes in at $0.6830 today. 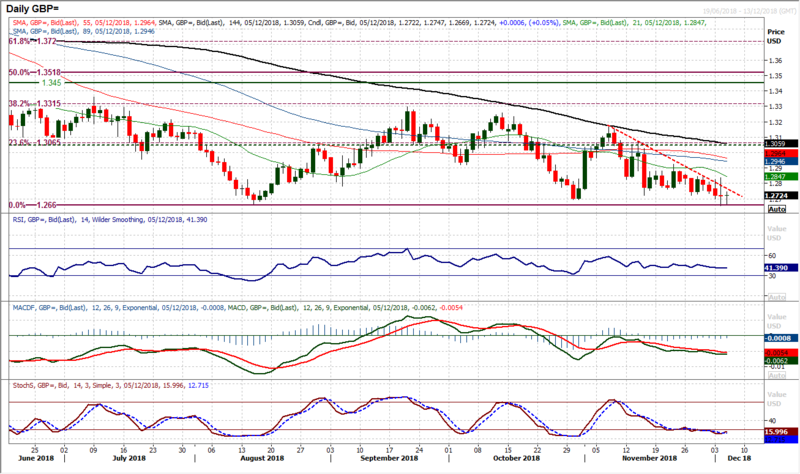 The breakout above $0.6720 completed a base pattern which implies a move towards $0.7020 over the coming weeks. The big question yesterday morning was about whether the upside break on the euro could hold, however, the answer thus far is negative. 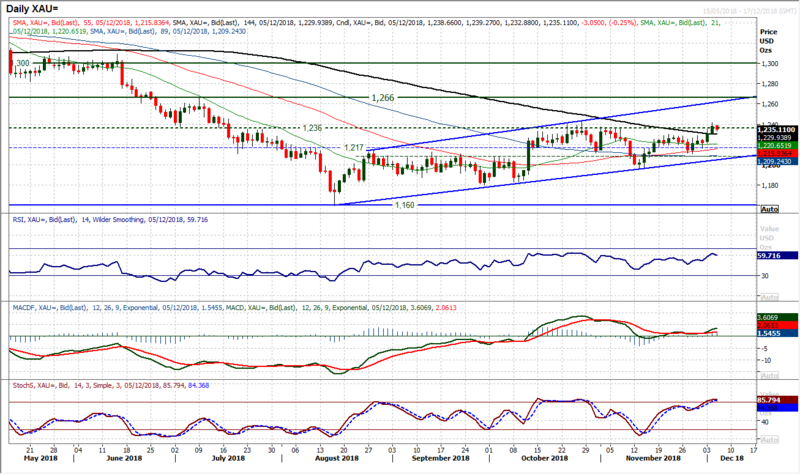 For much of the morning the euro was trading around and above $1.1400 which was a breakout of the downtrend channel. However an intraday slip into the close formed a mildly negative candle and disappointment for the bulls. 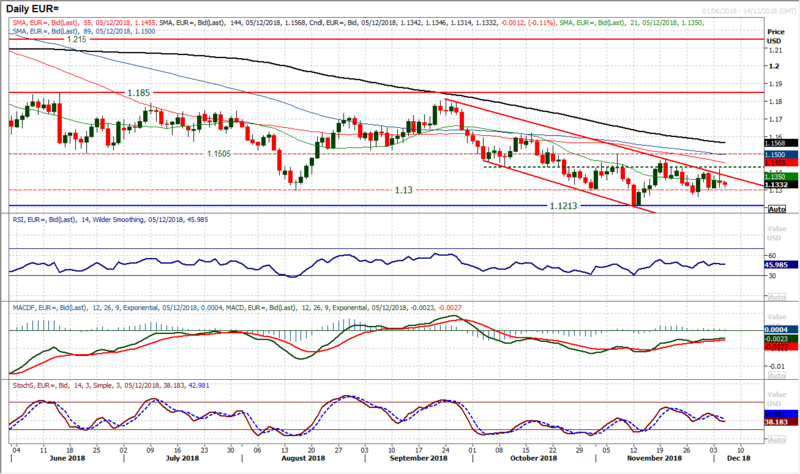 This has brought $1.1300 support back into play once more with the key higher low of $1.1265 increasingly important. Momentum indicators have been fluctuating in recent days and pretty much reflect the uncertainty of the near term outlook. The bulls are really trying to muster the strength for an upside break but seem to be continually thwarted. The hourly chart reflects this uncertainty with fluctuating moving averages and little decisive direction on hourly RSI or MACD lines. Losing $1.1300 would be a blow but the real breakdown would be a close below $1.1265. This would then open the crucial November low at $1.1213 again. Another day another big swing around on Brexit domestic politics in the UK. This is likely to be a feature of the coming days as the UK Parliament debates Theresa May’s deal. It looked initially yesterday that the bulls were running higher (over 100 pips up at one stage) but we should know by now that sterling gains never last long in these Brexit fuelled moves and a complete retracement has been seen. We have subsequently had a downside break of $1.2695 (the October low) and the market is now eyeing the $1.2660 key August low. Intraday rallies on Cable continue to be sold into. Essentially the resistance is now at $1.2840 (yesterday’s high) whilst the negative drift on momentum is pressurising the medium term range lows. 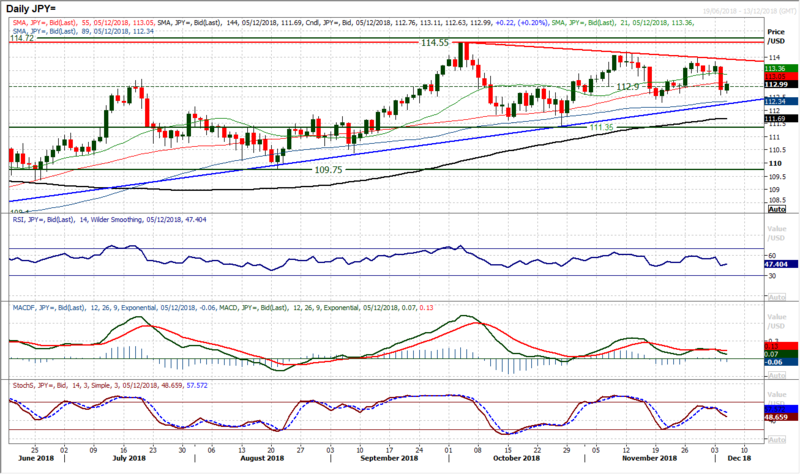 A closing break of $1.2660 opens a whole number of downside potential targets, with $1.2585 initially and then $1.2350. The hourly chart is fairly orderly though and with the RSI stretched, the immediate downside potential seems limited this morning and suggests an unwinding move to be sold into could be seen first. The outlook has turned more corrective in the wake of yesterday’s decisive negative candle which broke a near term uptrend and supports at 112.90 (old near term pivot) and 112.65. Although there has been a reaction higher this morning, the magnitude of the bear candle suggests that there has been a change of sentiment on Dollar/Yen now. Momentum indicators are looking increasingly tired on a medium term basis, with the MACD lines turning lower, along with RSI below 50 and Stochastics tracking lower. This suggests that rallies could now struggle. Initially this morning there is resistance now at 113.20 up to 113.85 that is likely to be overhead supply for renewed selling pressure. Support is at 112.55 but expect this to come under scrutiny again. The key support is at 112.30. A closing break above $1236 was a key move which has now been a significant breakout for not only gold, but has implications for the dollar too. $1236 on gold has been a key long term pivot which the price has not closed above since July and yesterday’s closing breach really does open the upside once more within the uptrend channel. This breakout above $1236 comes with two strong bull candles, increasingly strong momentum (RSI above 60 and Stochastics above 80) but also a move above the falling 144 day moving average for the first time since May. This move above the long term moving average is a key development in the medium to longer term recovery on gold. The move now suggests that near term corrective moves should now be seen to be a chance to buy. This morning’s mild pullback needs to settle, but initial support comes in at $1230/$1236 with $1210 as a higher low above the key support at $1195. The support of the uptrend channel comes in at $1205. The hourly chart reflects the strength of the momentum and suggests corrections are a chance to buy. The recovery on oil has been put on hold for now as yesterday’s doji candle denotes a degree of uncertainty with the move. 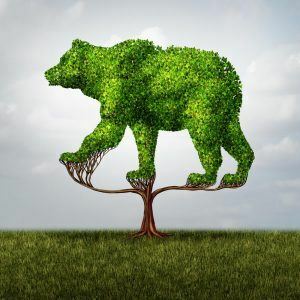 The question is now whether this rebound has simply been a bear market rally, r the start of a sustainable recovery. The reaction in the next few days will likely provide the answer. 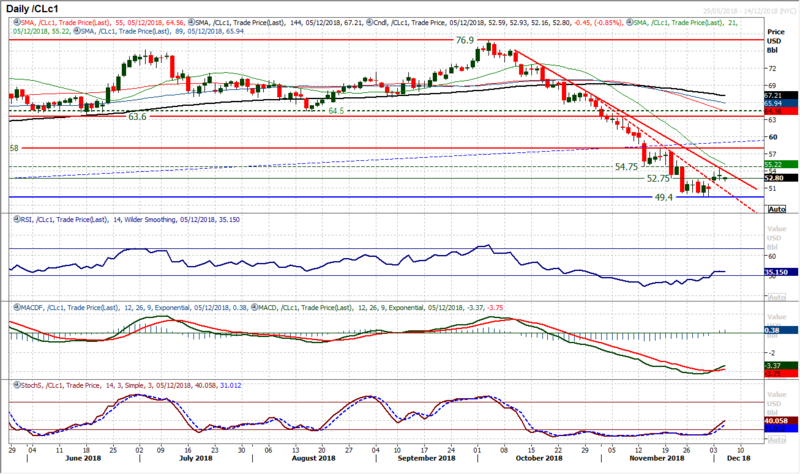 However, the eight week downtrend did catch the rebound yesterday and forms a barrier today around $54.10. 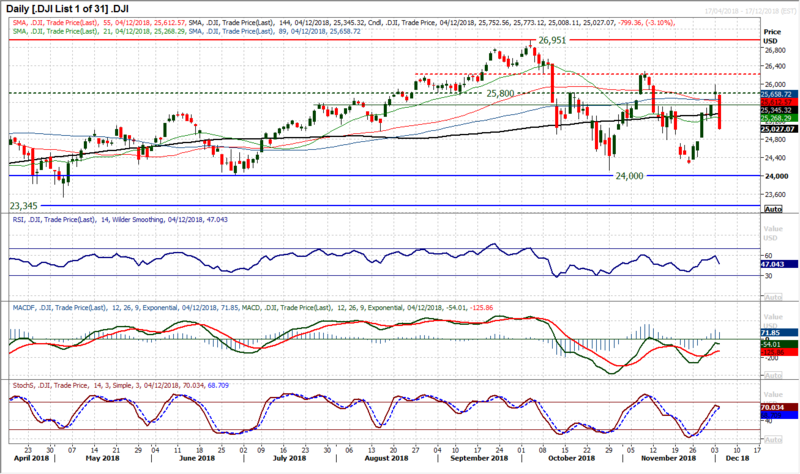 There is an improvement now showing through on the daily momentum (daily MACD buy signal). There is near term breakout support on the hourly chart between $52.00/$52.75 which will be seen as a near term source of underlying demand, whilst hourly momentum indicators have unwound back to levels at which the bulls need to take hold once more if this is to be a sustainable recovery. Yesterday’s high at $54.55 is now resistance. A close below $52.00 effectively re-opens the lows below $50 again. An enormous bear candle has completely smashed the recent recovery apart. A run higher over the past week seemed to be putting the bulls back in control but a near precipitous session yesterday has put paid to that idea. The volume for the session seemed to be fairly solid, so it may not have been a liquidity issue, just solid selling. Volatility has remained elevated for several weeks now and this just continues this theme, something that will keep the bulls on edge. The hourly chart shows a basis of support around 24,675/24,700, whilst there is now overhead supply 25,200/25,480 for a technical rally early today. Yesterday’s move makes the market increasingly difficult to call now, but a follow up negative candle today would generate the negative momentum that could once more see the November lows (c. 24,275) ultimately tested.